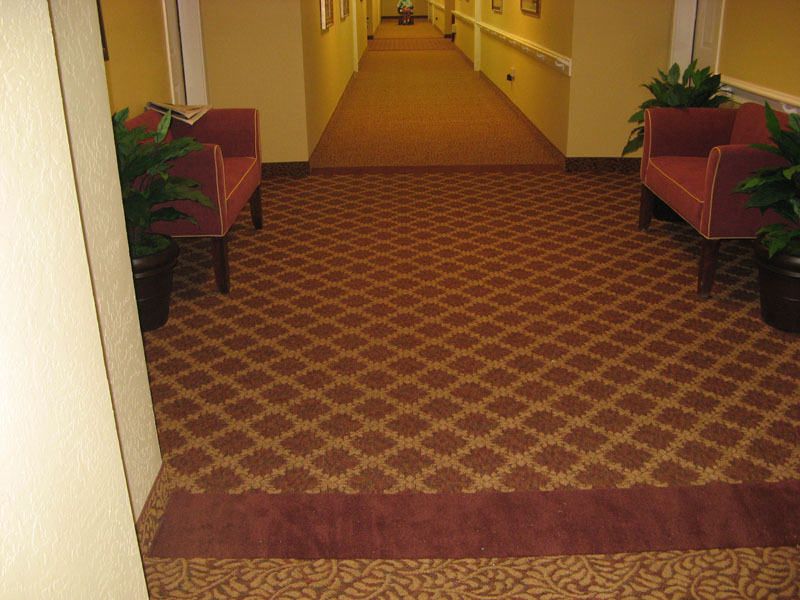 Senior living facilities often involve carpets with large scale patterns. The design creates a beautiful warm environment, but with large patterns on 12’ broadloom comes a large amount of material waste that costs the customer additional money. 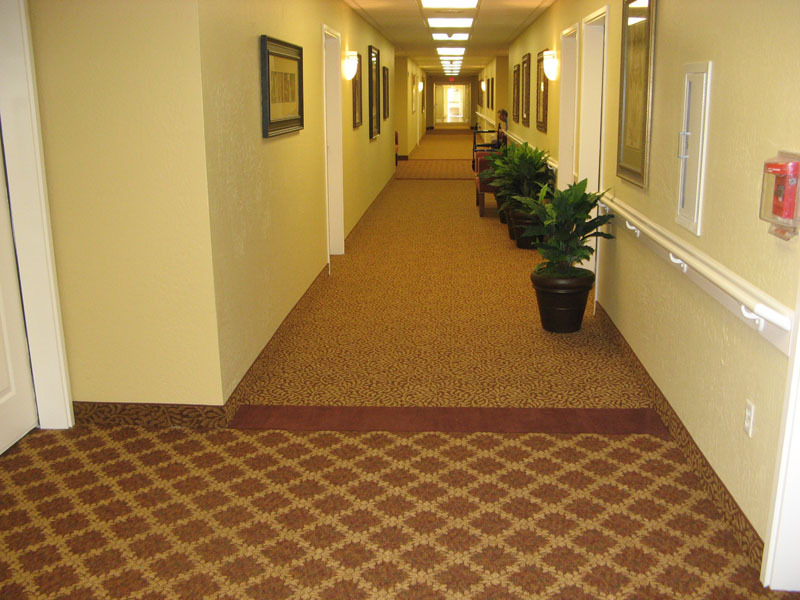 Working with a long-time partner in the senior living industry, Inside Edge explored solutions with their carpet suppliers to find ways to provide large scale hospitality broadloom carpet patterns, creating as minimal waste possible. Working closely with the Inside Edge estimating department, it was suggested that if the mill could manufacturer a carpet that was made in a narrower width, we could reduce both installation waste and the number of seams needed. Tandus was able to accommodate this request saving the customer about 10% waste on each project which translated into cost savings and a better, more efficient installation with less seams. During this process Inside Edge was able to save on average 190 -250 square yards per project which translates into a savings of over $5,000 per project. 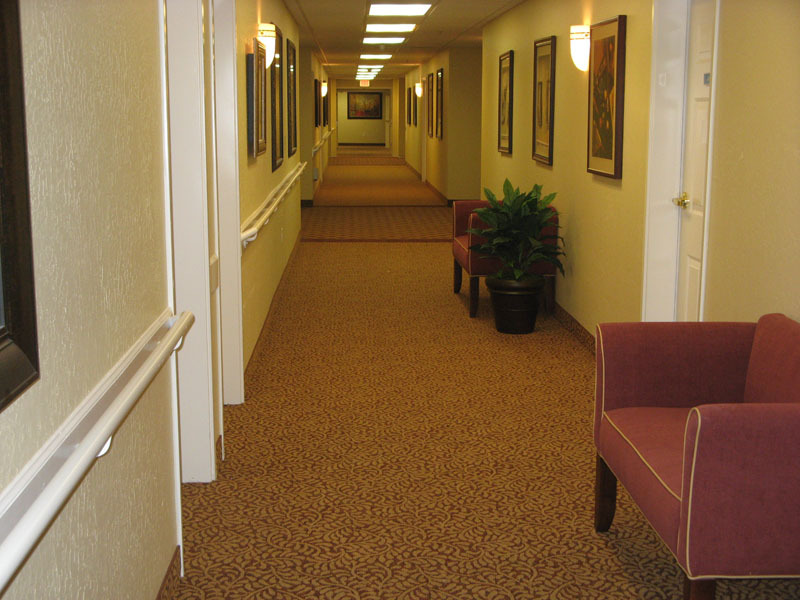 On average Inside Edge installs approximately 35-55 projects each year for this customer and utilizing various roll widths in common area corridors, activity and dining room spaces. Through collaboration between the end user, carpet manufacturer and Inside Edge we have been able to keep the product design and build a pattern that was divisible with various widths. Inside Edge provides nationwide product and installation services directly for end-use clients, while coordinating scheduling with the general contractor. Capabilities include all types of projects, from owner-occupied remodels to new construction to repair and maintenance needs.